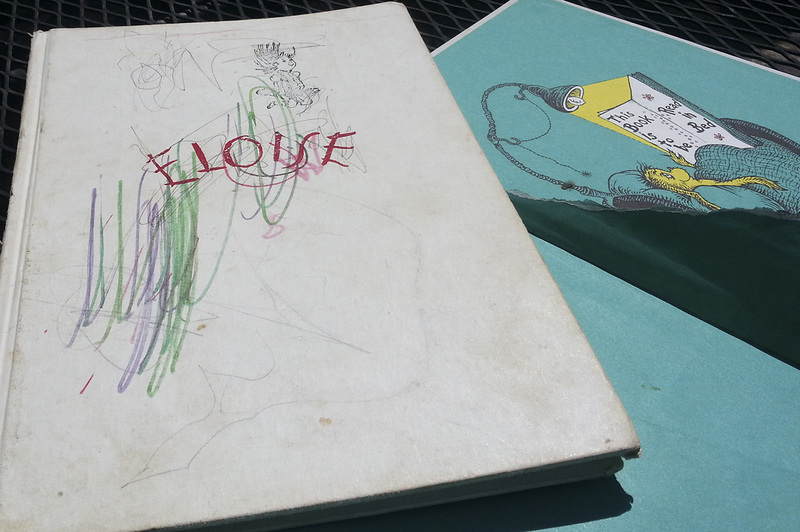 Who drew on the cover of Eloise!? The e-book vs. printed book conversation has been dragging on now for years. Usually, it’s distilled to the simple question of which format is better—laced with nostalgia for paper and intoxication of the new and instantaneous availability of digital. In the end, readers (i.e. the market) will decide on that, so there’s little utility in going on about the pros and cons. E-books continue their rise—Publishers Weekly notes that e-book sales rose 44% from 2011 to 2012 and represent 20% of sales of trade books. But, recently, the Pew Research Center released an interesting tid-bit of a finding that got me thinking: adults with young children are more likely to read e-books themselves than childless adults. However, about four in five of those same adults with kids feel that it is “very important” for their children to read print books. Seems like a double standard, but Pew fathoms it may because parents want their children to share the same experience with books that they had. Or, it may be because the reading of physical books “model” the reading habit more conspicuously than looking at a screen on a tablet. Surely, kids—even toddlers—are already using digital media and interactive e-books, and that’s not surprising. It’s probably a lot of fun for them. But children also can get attached to other more ordinary things, objects—a stuffed animal, a book, worn sneakers, or the proverbial blanket—in extraordinary ways. And, as these objects acquire a patina of personal use, somehow, the wear and tear tell a story of personal use, of palpable experience. It reminds me of a furniture restorer who convinced me not to restore 19th century table. He pointed out a black curved line on the surface that seemed ruinous to me, but beautiful to him. Maybe a hot kettle from a hearth? This leads to me to all the history—some clear, some not so clear—attached to old, well-handled, well-used print books. There is the marginalia, of course. But there is also the charismatic signs of use by the owner. Recipe books with sauce-splattered pages. The dog-ears marking periodic reading. Dust jackets turning to…dust. Ex Libris lables. Christmas , birthday or anniversary wishes at the front of the book.